153 published items with the word (s) or phrase Perry Ellis in News, Trends, Videos, Photo galleries, Agenda and sorted by "date descending". Perry Ellis International Inc. launched on Thursday the second drop from the brand's archive capsule collection, the latest in a five-collection project from the iconic U.S. brand. Nirvana is suing Marc Jacobs for alleged copyright infringement over designs found in the fashion house's recent Redux Grunge collection. Marc Jacobs has announced it will launch a new affordably priced line entitled "The Marc Jacobs," according to local reports. The line is set to debut with the fashion house's pre-fall 2019 collection. Marc Jacobs has released a revamped version of 26 designs from his 1993 collection for Perry Ellis, which made headlines for its grunge-inspired designs. Fashion retailer Quiz has appointed Media Agency Group to drive awareness of its brand via a TV campaign endorsed by the cast of ITVBe show The only Way is Essex. It's the first national TV campaign for the label. The apparel group announced on Monday that it has completed its transaction with founder and former chairman George Feldenkreis, who has taken the company private at a price of $27.50 per share. Two months after the apparel company called off talks with Randa Accessories, endorsing a take-over bid from founder George Feldenkreis, its shareholders approved the proposed transaction with a vote on Thursday. Marc Jacobs s'apprête à lancer une ligne plus abordable, "The Marc Jacobs"
...éponyme cette année, après le lancement d'une nouvelle version de la collection « grunge » dessinée par Marc Jacobs pour Perry Ellis en 1993. ...» pour le 25e anniversaire de sa collection « Grunge », commercialisée au printemps 1993 par la marque américaine Perry Ellis. ...Perry Ellis franchit une nouvelle étape dans son accord de rachat avec le fondateur, George Feldenkreis, en dépit d’une offre concurrente de dernière minute plus élevée de la part de Randa Accessories. ...Selon un communiqué paru samedi, Perry Ellis International Inc. a conclu un accord avec son fondateur, George Feldenkreis, dans le cadre d'un contrat à 437 millions de dollars (377 millions d'euros). ...statunitense quest’anno, dopo il lancio di una nuova versione della collezione "grunge" disegnata da Marc Jacobs per Perry Ellis nel 1993. ...Perry Ellis International ha perfezionato un accordo con Sportsfactory Consulting per la distribuzione in Europa del marchio di accessori di moda, di lifestyle e di sport Original Penguin by Munsingwear. 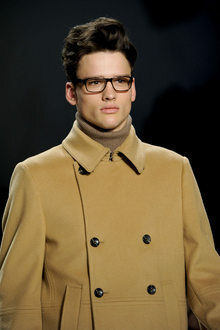 ...responsabile (attraverso la sua struttura RNB) della distribuzione di Original Penguin in Francia e del lancio di Perry Ellis America, andrà a gestire lo sviluppo del business europeo del gruppo statunitense. ...Perry Ellis International, Inc. (PEI), gab heute den zweiten Drop der fünf Kapselkollektionen Perry Ellis America in imitierter Auflage bekannt. ...Perry Ellis International gibt bekannt, dass es seine Transaktion mit dem Gründer und ehemaligen Vorstandsvorsitzenden George Feldenkreis abgeschlossen hat. ...Perry Ellis hat 2016 wichtige Ziele nicht erreicht. Nun sollen es Lizenzen und Direktverkauf richten. ...Men's fashion week in New York kicked off its third season Monday with a presentation by Perry Ellis, whose athletic, casual take is expected to mark a number of spring-summer 2017 collections. ...Марк Джейкобс выпустил обновленную версию своей гранж-коллекции 1993 года для Perry Ellis. Тогда этот стейтмент дизайнера наделал много шума. ...Perry Ellis International Original Penguin by Munsingwear marka spor, lifestyle ve moda aksesuarlarının Avrupa’da dağıtımı için Sportsfactory Consulting ile anlaşma yaptı. 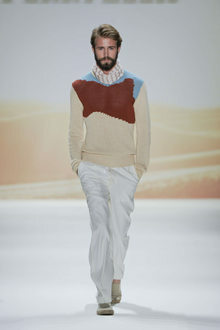 ...Marc Jacobs revisita su colección "Grunge" que realizó para Perry Ellis. Las prendas estarán disponibles a partir de 15 de septiembre en su web e-commerce, en grandes almacenes y en sus boutiques propias. ...reboot of its vintage Coca-Cola collaboration, which was first created back in 1986, while Perry Ellis dropped the second installment of its ‘Perry Ellis America' capsule archival collection earlier this year. ...Perry Ellis International Inc. launched on Thursday the second drop from the brand's archive capsule collection, the latest in a five-collection project from the iconic U.S. brand. 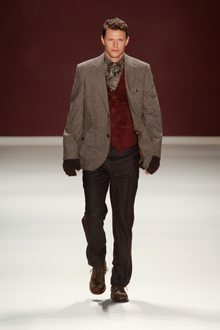 ...Marc Jacobs has released a revamped version of 26 designs from his 1993 collection for Perry Ellis, which made headlines for its grunge-inspired designs. ...On October 10, Perry Ellis International, Inc. released the first of five capsule collections for “Perry Ellis America”, the brand’s sub-label that debuted in 1984. ...As the apparel company moves forward with its acquisition by founder George Feldenkreis, Perry Ellis International has reported slipping revenues in the second quarter, dragged down by lost womenswear sales. ...Apparel maker Perry Ellis International said on Tuesday it had ended talks to be bought by fashion accessories maker Randa, backing an offer by its second-largest shareholder and founder George Feldenkreis. ...Perry Ellis International Inc said on Friday men’s fashion accessories maker Randa had raised its offer for the company to $458.6 million that could result in a superior proposal. ...Perry Ellis International Inc is moving forward with its buyout deal with founder George Feldenkreis and is one step closer to closing the deal, despite a higher competing offer from Randa Accessories Leather Goods. ...Following a strong second quarter, Perry Ellis reported another jump in revenue for its third quarter ended October 28, 2017. Net profit was reported at $9.6 million. ...a Grupo Axo. Su catálogo de marcas se compone por firmas internacionales como Levi's, Dockers, Puma, Steve Madden, Perry Ellis, Mango, Guess y Express, por mencionar algunas. ...“Nike Swim Influencers México”, donde presentó por primera vez su nueva línea de trajes de baño y ropa de playa, con Perry Ellis como aliado para la distribución en el país. ...complementos de más de 200 marcas de moda nacionales e internacionales, entre las que se encuentran Steve Madden, Perry Ellis, Mango, Levi's, Dockers, Puma y Guess, por mencionar algunas.